For as relatively “boring” as Pool A’s results were, Pool B had all the excitement any viewer could possibly hope for in a weekend of ultimate. The day started with a shocking upset of GOAT and a surprisingly powerful Sockeye. 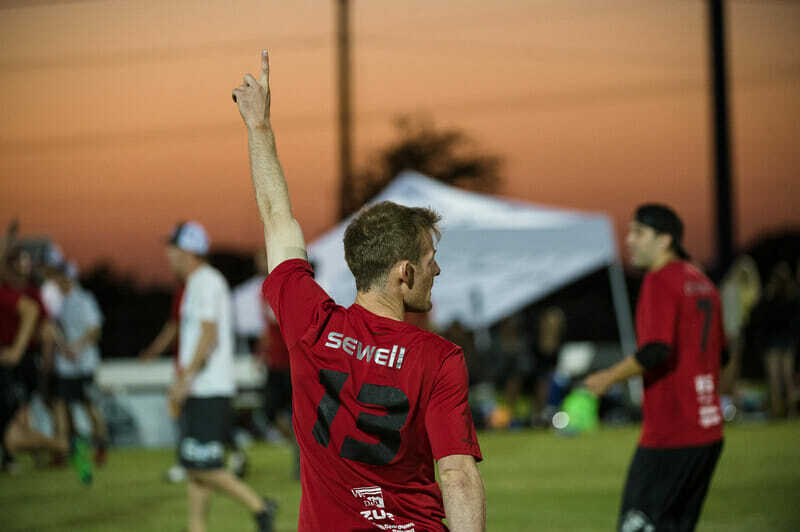 By the time it was all said and done, GOAT came in as the third seed in the pool and Sockeye somewhat returned to early 2000s form and won its pool at Nationals handily. Before anyone could look around and take stock of the beautiful day in Frisco, GOAT was losing 8-2 to Sub Zero. The only people that weren’t surprised were wearing Sub Zero jerseys. Though GOAT would slowly shrink the lead, it wouldn’t be nearly enough as Sub Zero fended off all of Toronto’s advances to maintain its lead and win 15-9. Bowen attributed Minneapolis’ success to its ability to take GOAT out of its comfort zone offensively. While Madcow did not go quietly in the 2v4 game with Sockeye, the Fish managed to handle things fairly easily, beating Ohio 15-11. GOAT’s woes for the day were far from over in Round Two. Though Sockeye was able to handle Madcow with ease, GOAT was far from anything resembling ease. Madcow took an early 4-2 lead and, through some very tight lines in strategic spots, was able to maintain that lead for most of the game. Though GOAT would even briefly hold a lead at 7-6, Madcow would eventually garner a 10-7 lead with a very limited amount of time left in the round. But GOAT, thanks to very tight lines of their own, stormed back and even took a 11-10 lead in a game to 13. For Madcow, this was the point in which the team had to reflect and realize just how close they had been to putting themselves in a much more winnable position against the No. 2 overall seed at the tournament. “You know, one throw different and we would have had this game won by two or three,” Madcow captain Phil Cherosky said. That was not to be though, as GOAT would grind out the last two points of the game and win on double-game point 13-12. Again, Sockeye cruised on the other side of the bracket. Though Sub Zero managed to keep things close for most of the first half, Sockeye would eventually pull away and win by a 15-11 margin. Given everything that had happened in the pool thus far, this was the round that had the biggest implications. There were so many variables and moving parts and possible results that there was no way to rule any of the teams out of any potential pool finishes (with the exception that Sockeye could not finish last and Madcow could not win). Sockeye and GOAT met in the live-streamed game on the Ultiworld showcase field. Though both teams played an excellent, clean first half, with GOAT being the only team to turn the disc over and only turning it over once, this game would eventually be all Sockeye, as they pulled away in the second half. The Fish won by a final score of 15-11, putting the final nail in the coffin of an extremely disappointing — and surprising — day for Toronto. The story of the game for Sockeye was the presence of players who previously have been injured this season. Most notable among those players was Matt Rehder. Rehder, who is only 22, has been playing on Sockeye for nearly 6 years. In this important game, he caught Sockeye’s first five offensive goals. Kinley went on to name a number of other players for Sockeye that are back for their first or second tournament of the season. Although Seattle would eventually get a bit sloppy late in the second half, there is no doubt that Sockeye controlled the pace for the vast majority of the game. Meanwhile, Sub Zero prevented the potential surprise of the tournament by beating Madcow in the 3 v. 4 game. Had Madcow won, it would most likely have taken second place in the pool but, as is, Ohio is relegated to 4th place. Comments on "Pool B Recap: Men’s Division"